Home to a host of voluntary and creative organisations, the Drill Hall, just off Leith Walk, is a hive of activity all year round. The hall offers studio and production spaces for local and touring productions and artists, hosts regular courses including dance, drama, art, and even aerial acrobatics. There is a fair-trade, organic café in the hall, which offers training placements for local youngsters. Leith Conversation Cafes. Join In! Speak Out! Be Inspired! 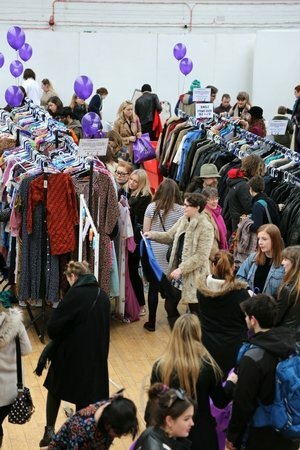 Buy vintage clothing, jewellery and accessories and pay £15 per kilo. An evening of food and beer, eclectic music and the age-old game of Wiff Waff (aka ping pong).